Hi lipstick lovers! I don’t know about you but I can’t remember the last time that a lipstick took the beauty world by storm quite like my girl Dominique has! 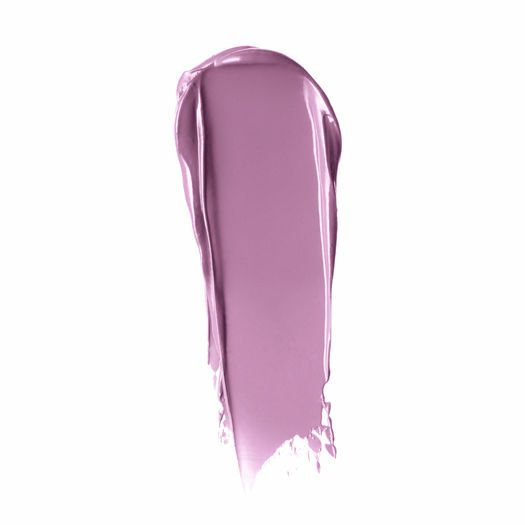 I think her appeal is a mix of the creamy long wear formula that NARS has us obsessing over with their new Audacious line and then the grey toned lavender that gives us a new twist on a purple lip. Lavender has been trending since last fall when we started seeing soft pastel lavender hair popping up on streets all over the world and a soft lavender eye look all over NYFW fall 2014. So Dominique which is described by NARS as a pink lilac came out at the perfect time! Except…it’s nearly impossible to find. 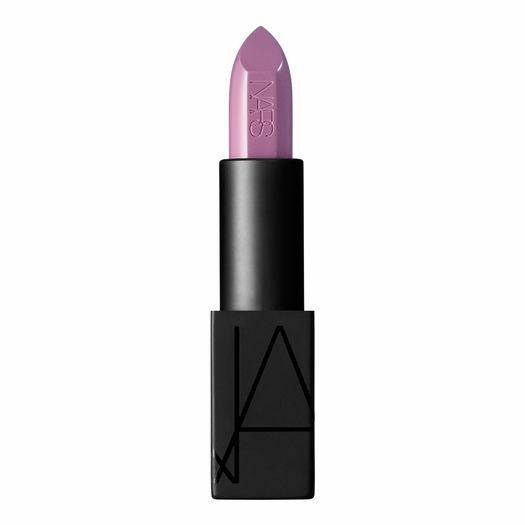 NARS launched 10 exclusive shades and your only hope of finding the 10 exclusive shades is at one of the six NARS boutiques. And I have it on good authority that the NARS on Melrose in LA is the only place around that has Dominique in stock. And….they ship worldwide!!! They offer free shipping for any order over 85.00 or it’s 10.00 to have it shipped fed ex. So make your list and get your free shipping and get the unicorn of lipstick. If you have been looking for Dominique or are on the fence about it…girl this is a stop drop and roll moment! This lipstick was made in limited quantity and once it’s gone apparently it’s gone from our lives forever. Call the NARS Melrose store in Los Angeles to get it! 310-623-1730 Tell them your girl Trisha from A Glittery Life sent you and do yourself a favor and order El Agua lip liner and born this way lip gloss! Next Cover FX 2015 Brand Ambassador!!! I discovered the Nars Audacious collection at the beginning of 2015. Dominique quickly caught my eye but was not available anywhere online. I am stuck in the wilds of Montana, but spent 11 years in Seattle, so rung up the Barney’s New York at Pacific Place. The customer contact at the Nars counter was extremely friendly & helpful. She took my info & within a week I had the lipstick, her business card & some additional samples, all in a small iconic Barney’s bag. A bit of urban luxury in the rural mountains. So fun!